Does this look like Chiari Malformation? I've never posted in one of these before. I realize none of you are medical professionals, I just wanted to know if I am completely off base. I have pretty severe pain on the back of my head when I laugh, and I'm super dizzy everyday. I can't always drive because I'm so dizzy, and have so much pressure in my head it feels like it could explode sometimes. I have stopped working for almost 2 years now because of all this and my doctors have no answers. They keep saying it's anxiety, but I am in pain and dizzy beyond belief. 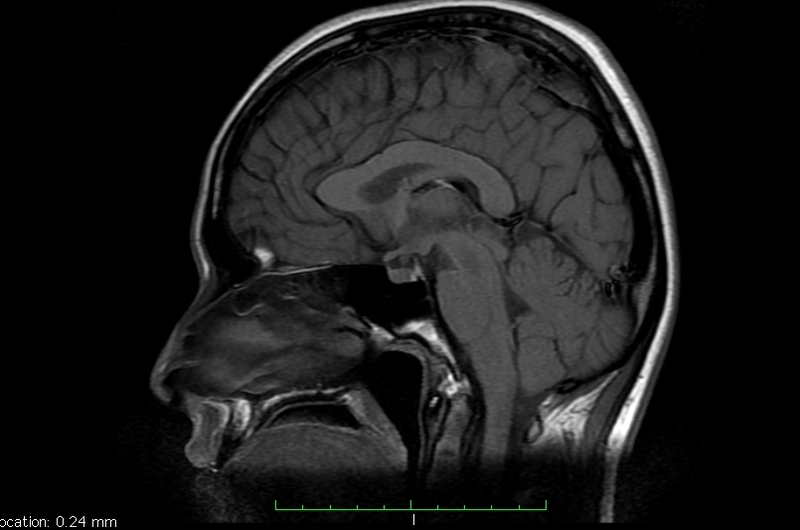 Would anyone mind looking at my MRI stills and just commenting if I am way off base, or if I might be on the right track? I am already planning for an appointment with a new Neurologist. 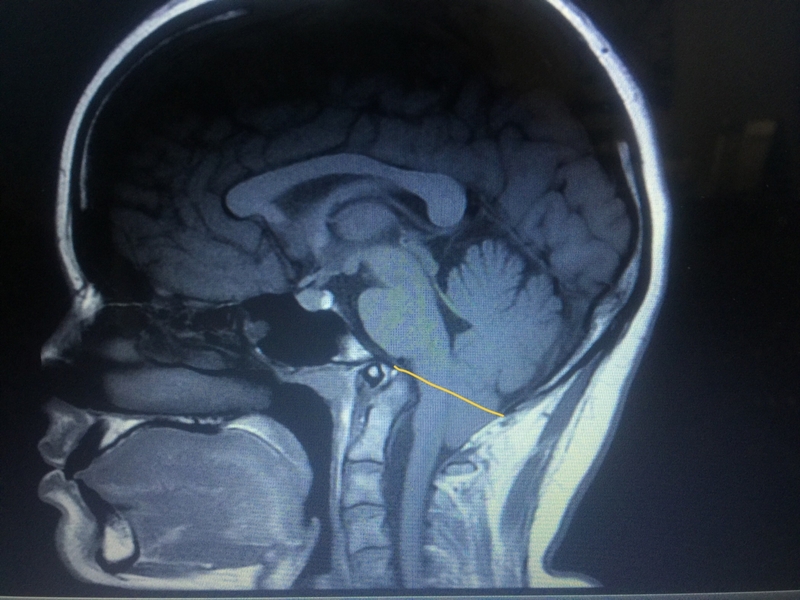 I just want to hear from others if this is something they've gone through, or if this looks like there is any issue with how low my cerebellum is. 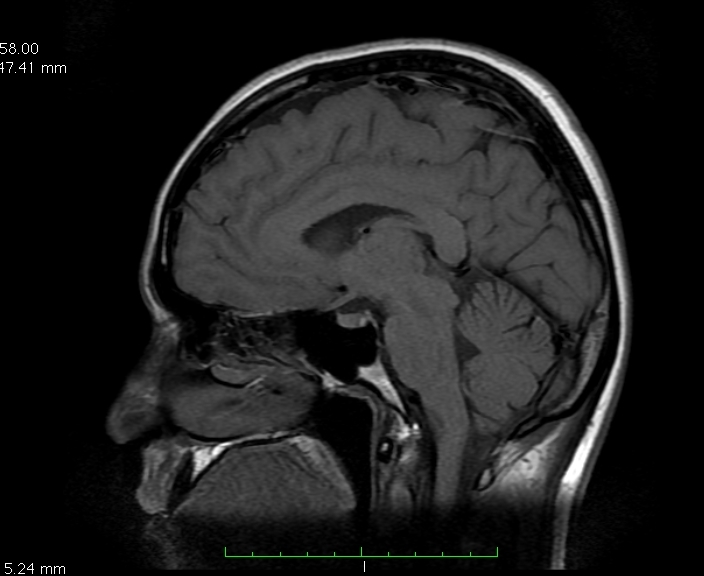 I'm sending my MRI disk to a new neurologist this week. I sent the photos I posted here to him and he agreed that it looks crowded, but that he needs to measure and look through more. Loren- its great to hear your story of self diagnosis leading to actual diagnosis....I feel like I see some herniation on my scans but I'm just surprised by how severe my symptoms are for hardly any herniation (if any). I guess the pain/symptoms are not relative to the length of herniation right? -Also, that scan was done in January 2017 but I seem to have new symptoms now. Can it worsen in such a short time and maybe I need another MRI? Thanks again to everyone helping with input. yes it doesnt matter how much herniation you have to have symptoms. your doctor should request another MRI to compare and insure it hasnt gotten worse. if he doesnt i would ask for one. i really hope you get the answers because it can be very painful! wish you the best! Your symptoms sounds like Chiari Malformation to me, and sounds like most ppl who have chiari ... personally I cant tell by looking at your MRI however only bc I'm not an expert at looking at MRI and really cant see herniations thats great. Best of luck to you! !